Certification assures that you are gaining the fullest potential from your dance training & are becoming the best dancer you can be. Technique level testing & certification exemplifies your dedication to your own personal & creative development thru dance and verifies that you have achieved outstanding proficiency in the technique training offered in each course level at White Lotus School of Bellydance Dance. Artistic Director of White Lotus School of Bellydance, Carrie Konyha is an internationally celebrated, world class bellydancer with 30 years of experience in professional dance performance and 18 years experience with teaching bellydance. Carrie has a passion for dance education and has been the author of a regularly featured column devoted to the business of teaching dance in internationally distributed bellydance magazine “Zaghareet” for nearly 10 years. Her newest bellydance instructional DVD (produced by World Dance New York) is currently being sold globally with rave reviews! 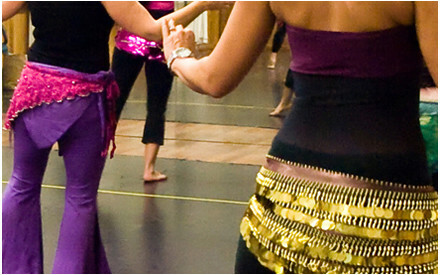 White Lotus School of Bellydance offers the most comprehensive bellydance training curriculum in Arizona.